The first Middle Eastern immigrants were Christian traders from the Turkish empire, who began arriving in the U.S. in the late 1800s. They were called “Syrians” even though many were not from Syria. If you have enjoyed the Betsy-Tacy childhood classics, which take place in the early 1900s in a small town in Minnesota, you may remember that in Betsy and Tacy Go Over the Big Hill , the girls befriend a “Syrian” girl named Naifi. It is difficult to know how many people identify as being of Middle Eastern origin in the United States. The Census Bureau reports that in 2010, about 2 million people (less than 1% of the total U.S. population) identified as “Arab,” but not all Middle Easterners identify as “Arab” (Census Bureau Data). A 2007 Pew Research Center study estimates that 1.4 million Muslim Americans live in the United States. However, not all Muslim-Americans are from the Middle East, and not all people of Middle Eastern origin are Muslim ((Muslim-Americans: Middle Class and Mostly Mainstream). Forgotten Bread: First-Generation Armenian American Writers , edited by David Kherdian. I believe this anthology uses the term “First Generation Armenian American” to refer to the children of immigrants. Arlen, Michael J. — he is the son of prominent Armenian-American writer Michael Arlen. Saroyan, William (1908-1981) – Saroyan was born in Fresno, California to Armenian immigrants. He was a playwright, short story writer, and novelist. Erian, Alicia (born 1967) – Erian’s father is an immigrant from Egypt. Lagnado, Lucette — Lagnado was born in Egypt to a Jewish family. She grew up in New York City. Asayesh, Gelareh — Asayesh was born in Iran and immigrated to the United States as a child. Bahrampour, Tara (born 1968) — Bahrampour lived in Iran for her first eleven years with her Iranian father and American mother. The family fled to the U.S. during the Iranian revolution. Dumas, Firoozeh — Born in Iran, Dumas arrived in the U.S. at age seven. Moaveni, Azadeh (born 1976) — Moaveni was born in Iran and raised in California. Nayeri, Dina (born 1979) — Nayeri was born in Iran and arrived in the U.S. at age 10. Abu-Jaber, Diana — Abu-Jaber’s father is an immigrant from Jordan, while her mother has Irish-Catholic roots. Warga, Jasmine (born 1988) — Warga was born and raised in Cincinnati, Ohio. Abinader, Elmaz (born 1954) — Abinader was born in Pennsylvania. Blatty, William Peter (born 1928) – although he is best known for writing The Exorcist and other works of horror, Blatty also wrote a memoir and novel that deal with Lebanese-American culture. Gibran, Kahlil (1883-1931) Gibran was born in Lebanon and arrived in the United States at the age of 12. His book The Prophet is one of the most popular books in the English language. 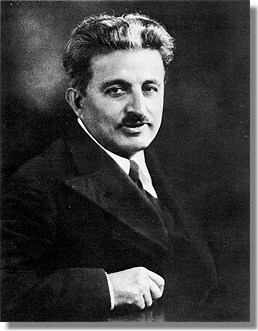 Rihani, Ameen (1876-1940) Rihani was born in Lebanon and came to the United States at the age of 12. He wrote the first novel in English by an author of Arab origin. Nye, Naomi Shihab (born 1952) – although largely known as a poet, Nye has also written a young adult novel.